← Globalization and immigration: What future for Minnesota? 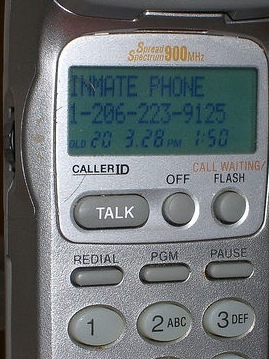 Your caller ID shows the name of your bank, and you answer the phone. An official-sounding voice explains that the bank is concerned that “a suspicious person” has attempted to cash a $1,200 check on your account, and asks if you have issued the check. Thoroughly alarmed, you say that you haven’t. You tell the bank officer that you do not want them to cash the check and thank him for their vigilance. He says that he will not allow payment, but needs to verify that he is talking to the account holder – will you please give him your account number and the last four digits of your social security number? Except that the caller is not really from your bank. There was no $1,200 check, and now you have given him personal information that could allow him to clean out your account. Caller ID “spoofing” is a growing problem, as technology allows people to fake the name and number that appear on your caller ID. Stealing your credit card, bank or social security information is one way that “spoofing” works. In Minnesota, spoofers impersonated automobile dealers last year, trying to get customer identification. Political campaigns have also used spoofing to mislead voters, making them think that an opposition candidate is calling and invading their privacy, insulting them or waking them in the middle of the night. During the recent health care debate, spoofers impersonated Senator Harry Reid’s office and called Democratic lawmakers to tell them he opposed health care reform. Spoofing even has some legitimate uses – such as a shelter for battered women that conceals its actual phone number to avoid harassment. The U.S. House of Representatives has just passed a bill (H.R. 1258), sponsored by NY Congressmember Eliot Engel, to make it a criminal offense to use spoofing “with the intent to defraud, cause harm, or wrongfully obtain anything of value.” The Senate has passed a similar bill, sponsored by Florida Senator Bill Nelson. MN Senator Amy Klobuchar is one of the co-sponsors in the Senate. At this point, according to Congressmember Engel’s office, the language of the bills differs only slightly, and an agreement and passage of the bill are expected. It’s one small step for telecommunications legislation – but it could be a big step for protecting consumers.